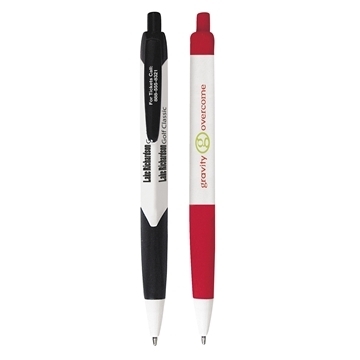 Get more BANG for your buck on this 3-sided pen! Price includes up to 3 imprint areas for multiple selling messages. Great pen. Was surprised by the color blue of the pen, was expecting a darker color for some reason. But otherwise it was great. Your company was very easy to work with. Thank you! The turnaround time was quick which was terrific because we needed time to send these out. Great service. We use these for giveaways to our customers and they are fine. The packet was really well done. the quality is outstanding.